Roderick Alexander McRobie Campbell (born 15 June 1953) is SNP politician, who was formerly the Member of the Scottish Parliament (MSP) for the North East Fife constituency 2011−2016. Campbell was born on 15 June 1953 in Edinburgh. He was educated at Reading School and graduated from Exeter University with a BA (Hons) in politics. He received a LL.M in human rights law from the University of Strathclyde. Campbell first qualified as a solicitor, in both England and Wales and Scotland, and rose to become partner in a multinational firm of lawyers based in London. In 2008 he was called to the bar in Scotland. He is a practising member of the Faculty of Advocates. Campbell joined the SNP in 1995. 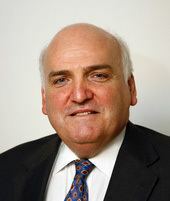 Campbell stood for the North East Fife constituency in the 2005 and 2010 Westminster elections, although he was not successful and Menzies Campbell remained the MP. He also stood unsuccessfully in the Scottish Parliament elections of 2007, where Iain Smith successfully held the North East Fife seat. In the 2011 Scottish Parliament election Campbell beat Smith and was elected as the MSP for North East Fife. As a MSP he has been a member of the European and External Relations Committee and the Justice Committee. In the 2016 Campbell finished second to Willie Rennie and was not elected.